The Mary Rose played a significant part in the English response to the Scottish invasion in 1513. The ship was Thomas Howard’s flag carrier and delivered him and aproximately 1000 troops and sailors to join the English army in Newcastle upon Tyne, where on 2nd September 1513 it moored up and rendezvoused with the retinue of the Earl of Surrey. Further research is on-going into its subsequent movements after this but certainly part of its attendant fleet is thought to have moved north to Berwick from where the English army could expect re-supply and support as the campaign continued. On 19th July 1545 King Henry VIII’s flagship the Mary Rose sank just off the Solent taking with her over 500 men. It was on the 11th October 1982 that thousands of people watched her being raised from the seabed. Now, the Mary Rose Museum displays the Mary Rose and brings some 19,000 artefacts back together, with both the ship and the crew providing a unique insight into Tudor life. The Mary Rose was a 'carrack' type warship of the English Tudor navy of King Henry VIII. After serving for 33 years in several wars against France, Scotland, and Brittany and after being substantially rebuilt in 1536, she saw her last action on 19 July 1545. While leading the attack on the ships of a French invasion fleet, she sank in the Solent, north of the Isle of Wight. The wreck of the Mary Rose was rediscovered in 1971 and salvaged in 1982 by the Mary Rose Trust in one of the most complex and expensive projects in the history of maritime archaeology. The surviving section of the ship and thousands of recovered artefacts are of immeasurable value as a Tudor-era time capsule. The excavation and salvage of the Mary Rose was a milestone in the field of maritime archaeology, comparable in complexity and cost only to the raising of the Swedish 17th-century warship Vasa in 1961. The finds include weapons, sailing equipment, naval supplies and a wide array of objects used by the crew. Many of the artefacts are unique to the Mary Rose and have provided insights into topics ranging from naval warfare to the history of musical instruments. Since the mid-1980s, while undergoing conservation, the remains of the hull have been on display at the Portsmouth Historic Dockyard. An extensive collection of well-preserved artefacts is on display at the nearby Mary Rose Museum. 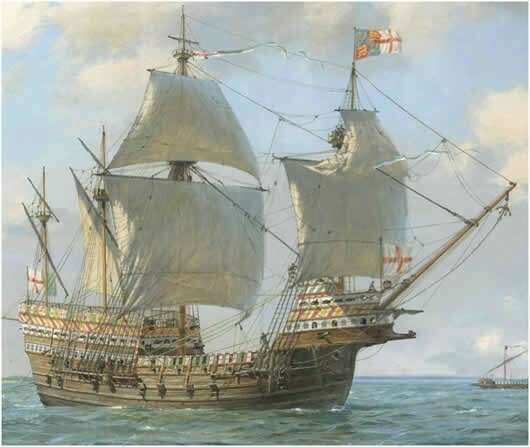 The Mary Rose had no known career as a merchant vessel. She was one of the largest ships in the English navy throughout more than three decades of intermittent war and was one of the earliest examples of a purpose-built sailing warship. She was armed with new types of heavy guns that could fire through the recently invented gun-ports. After being substantially rebuilt in 1536, she was also one of the earliest ships that could fire a broadside although the line of battle tactics that employed it had not yet been developed. 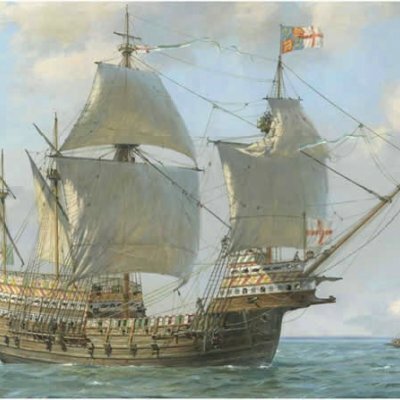 Several theories have sought to explain the demise of the Mary Rose, based on historical records, knowledge of 16th-century shipbuilding and modern experiments. However, the precise cause of her sinking is still unclear, because of conflicting testimonies and a lack of conclusive physical evidence. The Historic Dockyard is less than 5 miles from Junction 12 of the M27. Follow the brown Historic Waterfront signs from the M275 into Portsmouth. Portsmouth Historic Dockyard is located within Portsmouth Naval Base with entry through Victory Gate at the corner of Queen Street and the Hard. You can also get to us by train from London Waterloo, Cardiff, Bristol, Southampton, Chichester and Brighton to Portsmouth Harbour Station. The station is a five minute walk away. There are also regular coaches from London Victoria. And there are also regular trips from Gosport Ferry Terminal to Portsmouth.